Vikramshri is an Indian Actor, who is working in Kannada film and television industry. He was born on 25th September 1987 in Bijapur, Karnataka. He completed his secondary education at VB Darbar High School, Bijapur. He has a bachelor’s degree from KCP College of Science, Bijapur. Vikram made his acting debut in the Kannada film “Kaanana” along with Sudha Rani, directed by BR Keshava. He also acted with well known actresses like Princy Krishnan, Pallavi Gowda, Ashwini, Veena Ponnappa and Gayatri Bhuvanesh. He has appeared in some well known television serials such as Amruthavarshini, Akka and Parinaya. His performances in many films were lauded especially in “Prema Pallakki” which was one of the Best films of the year 2015. He worked with some of the top names of that time like Vikram in “Bombay Mittai” along with Niranjan Deshpande, Disha Pandey and Chikkanna. Vikramshri currently doing the leading role in Siva Manasula Sakthi serial along with Thanuja Gowda in Vijay TV and Kaveri serial along with Tejaswini Shekar in Udaya TV. Vikramshri as Siva role in Siva Manasula Sakthi serial. 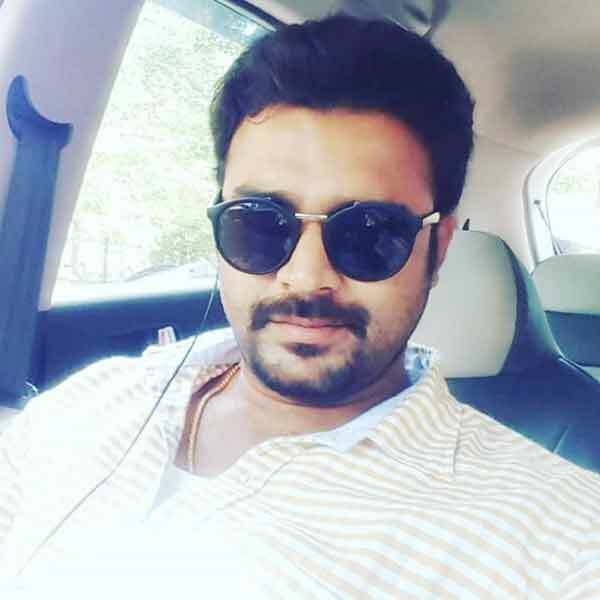 Vikram as Santhosh role in Kaveri serial.